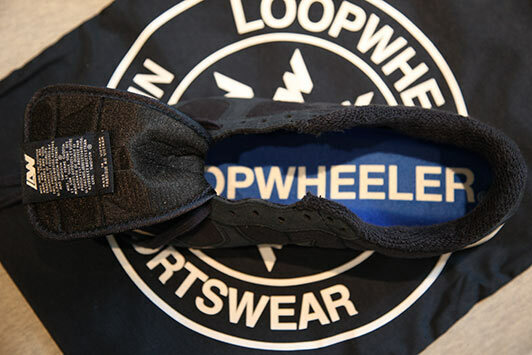 Respected Japanese fleece manufacturer Loopwheeler teams up with Nike Sportswear for the second time this year. 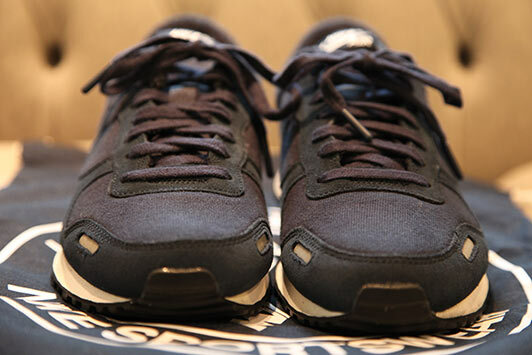 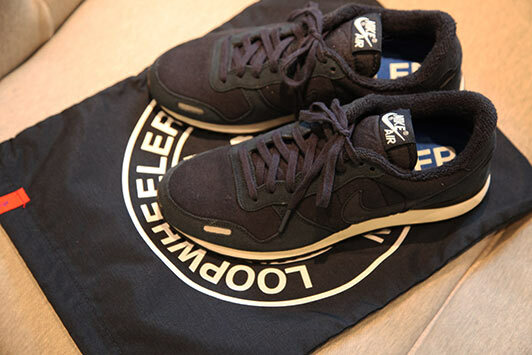 Respected Japanese fleece manufacturer Loopwheeler has teamed up with Nike Sportswear for the second time this year, presenting the Loopwheeler x Nike Air Vortex "Fuwa Max" in dark navy and white. 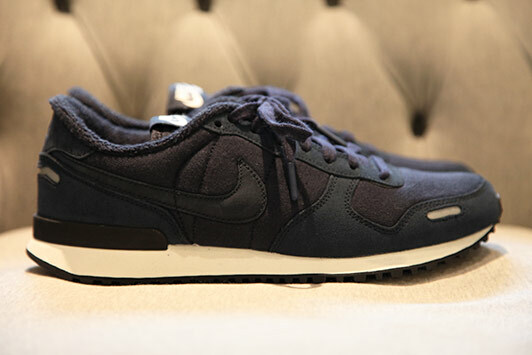 Named for its maximum comfort factor, this special Vortex collaboration features a nubuck and french terry upper, along with a soft fleece lining. 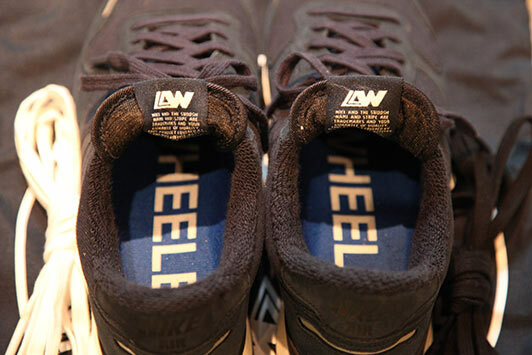 Details include a double branded woven tongue tag, rubber lace tips, reflective hits on the toe and heel and a special Loopwheeler graphic sockliner. 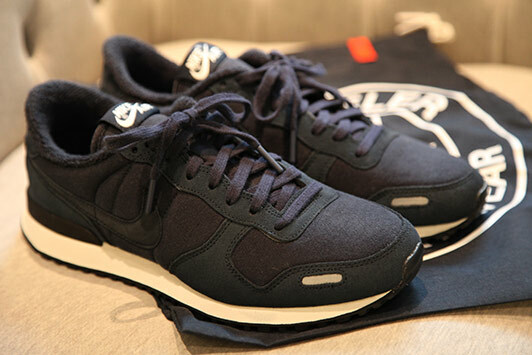 The new Loopwheeler x Nike Air Vortex "Fuwa Max" will release on Saturday, May 18 at select Nike, BEAMS and Loopwheeler retail locations.